stainless steel drinking water tanks is a kind of energy-saving drinking water equipment, installation and application in the public and commercial occasions, for schools, factories, offices, airports, railway stations, hospitals, chain catering, restaurants, hotels and other places of the water supply and water.Stainless steel water equipment installed advanced filtering device, can efficiently filter out the residual chlorine in the water, sediment, rust, bacteria, heavy metal, impurities such as colloid, ensure the health of drinking water, heating the water to boil again, reached the standard of drink, in line with the requirements of the Chinese water.In addition, the equipment is equipped with heat recovery unit of drinking water, drinking water can save electricity 80 ï¹ª, USES the water and electricity linkage technology, innovative design of water and electricity linkage switch valve and solenoid valve switch can ensure water fountain of the water temperature of 100 â„ƒ, water without boiling water, system pressure operation more safe and durable.Stainless steel water equipment with health, save electricity, safety, environmental protection, light, etc, and can meet the number of water at the same time . Stainless steel water fountain as a kind of electrical products, its security is very important.Due to the general knowledge of consumers do not have electricity, so don’t take install, after buying the product the best professionals for installation by production enterprises.Before using the product, the consumer should carefully read the product instruction for use, shall be carried out in accordance with the manual operation. 1. 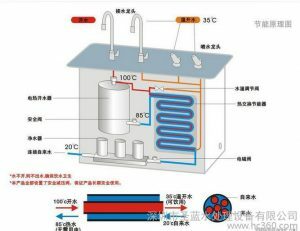 Do not install the water fountain in the humid environment, such as the bathroom.Because the air is humid in the bathroom, after steam into the electrical box, easy on the surface of the insulating medium, reduce its insulation performance, caused by leakage accidents. 2. When using water tanks, should be filled with water and then switched on, don’t adjust the thermostat, in order to prevent the thermostat set to above the boiling point temperature. 3. In use process, do not easily removed water equipment grounding conductor, because the last line of grounding measures is to prevent electric shock protection measures. 4. Always check straight drink machines into the water, to prevent water inlet blockage, avoid the happening of electric heating tube dry phenomenon. 5. Descaling regularly.If the local poor water quality, water purifiers at inlet water equipment, to improve the working efficiency of the water fountain, prolong service life, ensure the cleanness of drinking water hygiene. 6. 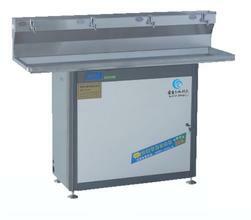 Must be cut off before maintenance cleaning water tank water fountain of water and power supply.Clean water equipment shell, the application of clean cloth to wipe, it is forbidden to use spray water flushing shell and electrical parts.